As soon as the debris was removed it was sent to Cebu City to start the design process. Urbina had no idea what it look like when he received it but he accepted the challenge. He then sorted and organized all the items by size and features (picture below). Having taken all the dimension from the items he started designing. 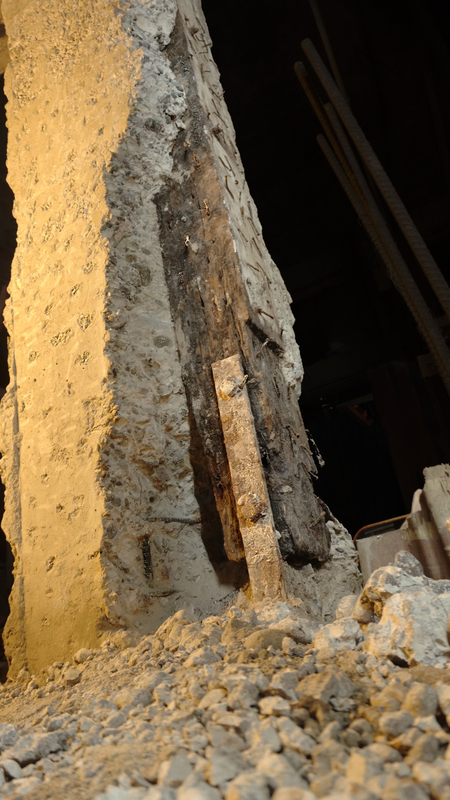 The next step was cleaning the debris, making it smooth and workable, but retaining its history. Creating all those imperfections into beauty is what Bernardo specializes in. Many long nights later, the items started to become reality. The chandelier consists of 180 hanging wooden slabs with a height of 30cm. They are organized by the alternating distance from base. Urbina states that hanging length creates movement within the chandelier. The 15 lights surrounded by the old buildings foundation now lights the space where it once stood. While the reception desk is created by 5 long foundation columns, suspended one on top of the other with light coming through the space. 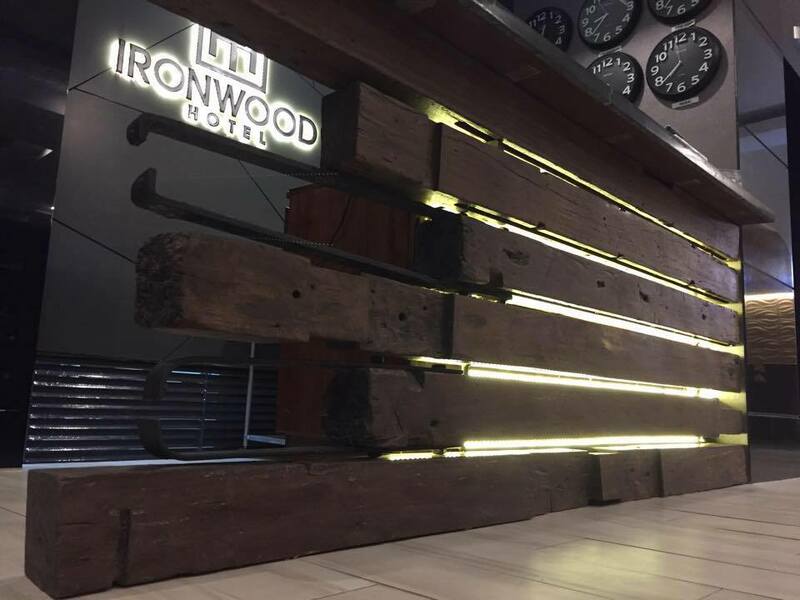 The combination of old material and new LED technology, compliments the overall modern hotel look. It took Bernardo and his team 3 months to transform and up-cycle the waste and dead material. 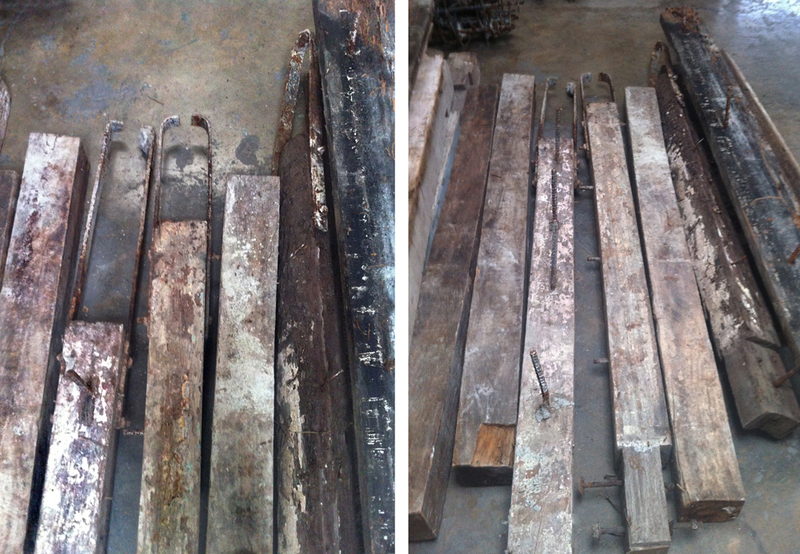 Next time you have some old wood, try to find new ways you could use it. Look beyond the straight lines, and turn those imperfections into stories. It not only helps the environment but you will be able to create an item with a story to share with your friends and family.